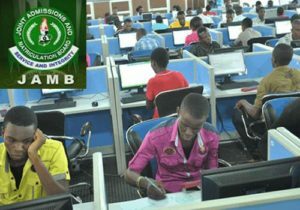 JAMB Mock Examination: All candidates that will want to participate in the 2019 JAMB Mock Examination is by this notice informed that the date for the examination has been fixed, for the 2019 mock examination. This is to inform all Interested candidates that they can now indicate their interest for the mock examination during registration on or before 31st January 2019. This time limit is for candidates that will want to write the 2019 JAMB Mock Examination to register before 31st January 2019. The long-awaited date for the 2019 JAMB Mock Examination has been fixed by the Board, the Joint Admissions and Matriculation Board (JAMB) has fixed the 2019 mock Examination to be on Monday 1st April 2019, The Board expects A total of 245,753 candidates out of the 1,652,795 candidates that will register for JAMB to participate in the mock Examination. Please ensure that your Email is Activated and your Phone Numbers are going through as the Board will Inform you through those channels on when to print your Mock Examination Schedule and procedures. Please Note that the main JAMB Examination is still slated to commence from the 11th April 2019. Be duly informed and get yourself fully prepared. See you at the other side of success. 1. Non-JAMB CBT Centres are allowed to collect, through their bank accounts, a separate Seven Hundred Naira only (₦700.00), from interested candidates that have received their mock examination centre through SMS, which will participate in the mock exercise. 2. The payment for mock examination by the candidate shall be made to the centre to which the candidate is assigned after the notification of assigned centres for the mock examination. No Association or body is permitted to run any mock examination on behalf of JAMB. JAMB has advised that no candidate should pay for the mock examination until he/she is assigned to a CBT centre. Also, Note that only JAMB approved/accredited CBT centres shall be in charge of conducting the 2019 UTME. Please Click On The Facebook And Twitter Button To Share With Friends. Is it a must for the mock examination?